You will Watch One Piece Episode 499 English Dubbed online for free episodes with HQ / high quality. Stream anime One Piece Season 14 Episode 41 The Battle against the Big Tiger! Who is Going to be Captain?! 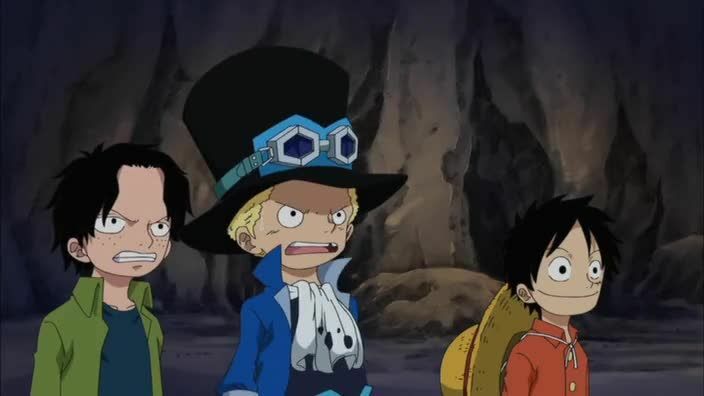 While Ace and Sabo are chased by the tiger, they encounter Naguri again. The brothers build a ship for Naguri during their training. The three brothers confront the tiger again, and they are nearly defeated. As Sabo distracts the tiger, Luffy uses his Gum-Gum Rocket technique to shoot Ace at the Tiger, finally defeating it. The three brothers see Naguri off. Meanwhile, Bluejam gives the crew a message to Sabo’s father that they have found him.